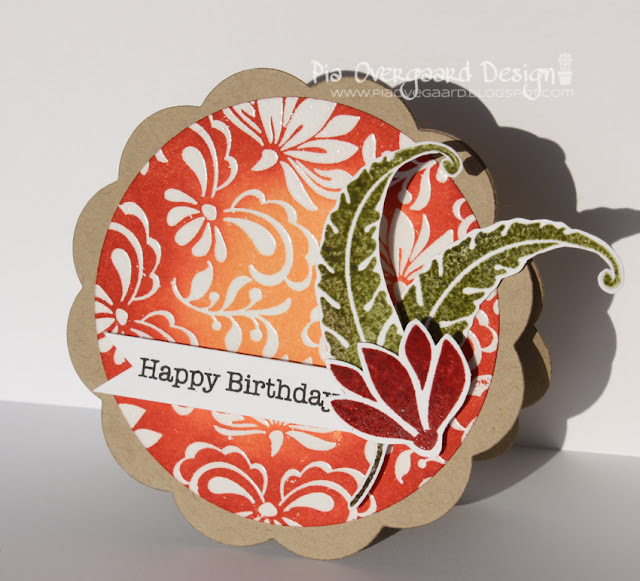 Just a quick share today - another resist embossed card using Lotus Leaves & Lotus Background. Did you see, btw how Sharon from the Flickr Group used that other leaf from the set as clams ? Now.... that is a clever use of stamps - talk about looking differently at your stamps!! Hvor er det smukt, Pia. 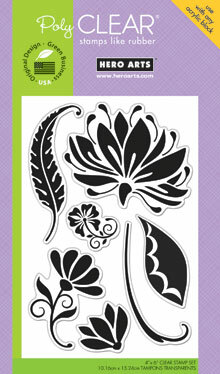 Jeg er vild med resist embossing... super flotte blade og blomst. Love the gorgeous fall colors here Pia- simply beautiful! This is stunning, Pia! I love the colours and the shape of those leaves. I've not seen that set before so I'm glad you showcased it here! Love those colors Pia! Superb card! Enda et nydelig kort! Fantastisk distressing! og GRATULERER som vinner på HA-bloggen i dag! Beautiful, love this technique, one of my favorites! So glad I found your beautiful blog!